In two days time we're going to look at some chocolate covered English toffees in time for the "National English Toffee Day" on January 8th. But today we're going to look at two readily available check out line "toffee" candy bars here in the USA. We're calling this our "Heath vs. Skor" match and if the response is good, maybe we'll do more of these comparisons in the future, Sisters and Brothers, so leave a comment and let us know what you think. I saw Heath more often when I was growing up. Externally the bar is covered with milk chocolate with movement drips along the top. The bar measures 5 X 1.25 X 0.25 inches. Inside it is a light hard center with pieces of almonds visible. It has cocoa butter and chocolate both but also dairy, added oils, soy, and of course tree nuts. One bar has 200 calories the bulk of which are sugars (23g) and saturated fats (7g). This is very crunchy and the almond flavor is quite strong, easily overpowering the milk chocolate with the buttery tang the secondary flavor. From a chocolate perspective, very disappointing. 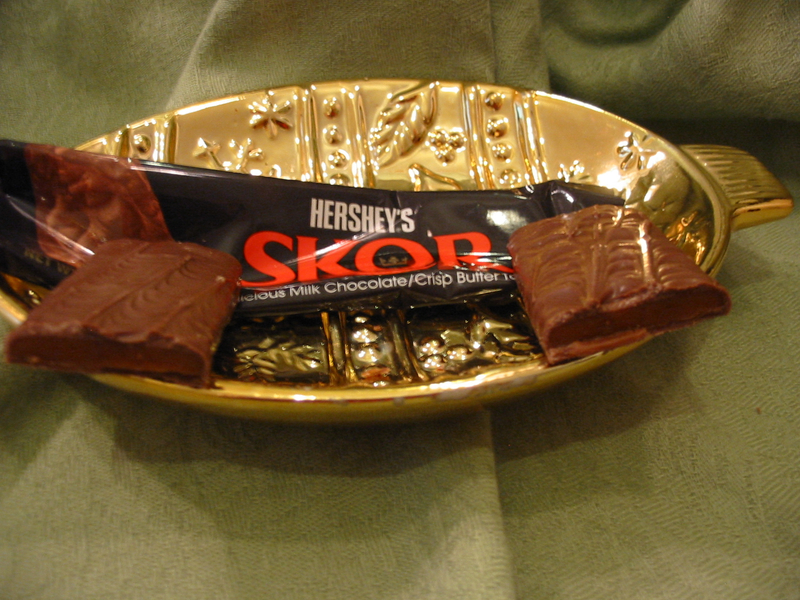 The Skor bar is the same in terms of looks and even dimensions. The inside is darker in color and there are no visible nuts even though the nuts are listed. This bar has a stronger chocolate scent. It has the same basic ingredients minus the palm oil. This has 10 more calories, twice as much cholesterol but 5mg less sodium and 1g more sugars than the Heath; otherwise they are pretty much identical nutritionally speaking. Biting into it reveals a few almond piece and a burst of much more buttery flavor. The chocolate is a bit stronger in terms of tastes but still sinks into the background. Both bars are made by Hershey so why do they need two bars? 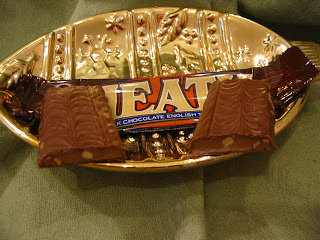 One, the Heath, calls itself a "English Toffee Bar" while the Skor called itself the "Crisp Butter Toffee" even though it has a crown on the wrapper. Both were 1.4oz when I bought them and the same price even. Result is that both aren't particularly good in terms of chocolate. The Skor is more for butter lovers, the Heath more for almond and tangyness. So pretty much what the wrappers say minus the strong chocolate that being first in their descriptions implies. Never had a Skor and didn't realize how alike the two are. Good comparison. In terms of English Toffee we might be best off to get it from an English company? Thank you both for reading and commenting. I wonder what you thought of the toffee we looked at on Saturday after this post? Why wasn't Butter Brickle included? Man I my old! Is Butter Brickle a brand? I always heard it as a type of candy. These were the two brands I happen to find in the stores back when I did this review, Gary. 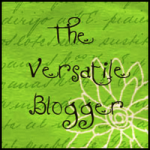 Hi, Princess Vashti, I'm so glad you found our blog. I appreciate your comments and I hope you come back and keep reading and giving us your opinions. The name Skor, and the crown featured on the Skor wrapper, are Swedish, so I assume that it contains the Swedish version of toffee. Knowing of the Norse influence on the British isles, I would guess that the English learned toffee-making from them. Hey, Downstrike, that's an awesome comment! Very interesting to know this. Thanks so much for reading and letting me know that fact. Skor is my favorite between the two as a bar by itself. However, if you are using as a topping, the broken pieces of Heath really are the real deal. Skor is the Swedish version of the two bars and really gives a better chocolate offering than Heath, but neither I could consider a chocolate bar. Hi, David, thanks for commenting. I'm amazed that almost two full years after this post that folks are still finding it. We cover everything with chocolate here on The Chocolate Cult, David. I hope you'll keep reading. Heath for MVP!!!!!!! GREAT article! Another comment in the same day, two and a half years after the article went live? Crazy! How are you all finding it? I always liked them both. I bought some Heath bars today for a recipe for a friend and just wondered what the difference between a Heath and a Skor was. I searched for Skor vs. Heath and this site came up. As an aside, I would like to see this site find some good vegan chocolate. I had to go vegan because of a medical condition and good creamy rich chocolate has been a devastating loss. We don't sell anything so we get the products that companies send us primarily. We only did this particular post because we were in our first years and occasionally bought products and wrote about them. We have covered several brands of vegan chocolate -- you'll have to dig around in our site to find them but you'll primarily be looking for darker chocolate. I'm not sure how much you'll find using the "search" feature and typing in "vegan" but you can give that a try. Hi, Jennifer. We start our 7th year at the end of this month, February 2015. I hope you go through the site and check out other posts we do. We post over 100 articles each year. I am eating a skor bar right now. I prefer heath. By the way I found this article on Google while searching for "heath vs skor" I noticed you were asking how readers still find this years after you published it. It seems to rank high. Good read. Thanks, Steven. Yeah I figured it was Google searches but I think it is kind of odd that out of all of our articles this seems to be the one generating the most comments. Is this question a heated debate that goes on and on over the years? I hope you check out our other pieces and leave more comments, please. I don't think that Hershey has always owned both candy bars. I prefer Skor because it has better chocolate flavor. 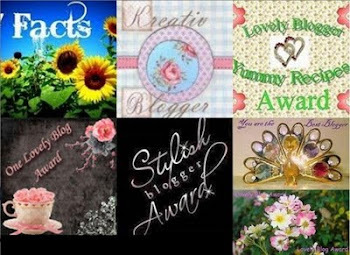 Wow, Charity, a four year old post... have you read our newer posts? I prefer a skor when eating just the bar. I prefer heath when i crush it and put it into my milk shake. Both are winners in my book. I could see the difference in how you use them. At ice cream, frozen yogurt, and frozen custard shops I see Heath listed not Skor, I figure it was a matter of business contracts but maybe it reflects the difference in how they are made, too. I found this while googling skor vs heath bar tp see what the difference was. It was the top entry on the list. I guess you're famous! In Ontario Canada the packaging is bilingual - english and french. The labeling on the skor bar is "Buttery Toffee Crunch Enrobed in Rich Milk Chocolate" which puts the emphasis on the toffee not the chocolate. In french that reads "Croquant de caramel au buerre enrobé de riche chocolate au lait". Perhaps that's how they picked 'enrobed' instead of the more common 'covered' in the english version. We are read in 186 countries and have been around since 2009 so we've had time to build up a following. Hope you look around and keep reading and commenting. I'm all for skor. Legend has that he heath bars are exclusively for homosexuals, and I ain't no fag! Lol. That is not an appropriate comment and unnecessary. However it does not break the rules of our comments so I won't delete. But I want everyone who reads this post to understand that The Chocolate Cult welcome EVERYONE except for people who feel the need to try and denigrate others with rude or insulting comments. If it were not left anonymous, that commenter would be banned. 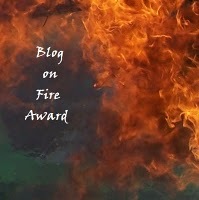 If this happens again, I will ban anonymous comments on the entire blog. Just enjoyed a Skor and wondered the difference. Thank you for the article and interesting comments. Thanks for commenting. I hope you look around our blog more and leave a few more. I like the flavor of the skor toffee better. It seems to have a more toasty flavor to it. I think I would like both bars better sans nuts. Thank you for commenting, Sue. Actually without the almonds it isn't true toffee by some definitions. My husband who has a tree nut allergy would join you in this wish. Just really started getting into this type of chocolate after my mother gave me some expensive toffee for Christmas. Wanted to know what the difference was and it brought me here. Good info. Wanted to comment and say hi to ya! I hope "unknown" comes back, reads more posts, and leaves more comments. No experience with Skor bars here, so I have to go Team Heath. Hmmm, maybe I'll try one today. Also, I look forward to reading some of the other interesting articles on this site. HonestEnd, I hope you do continue to read, follow us on social media, and keep commenting. I also found this article by googling "skor vs heath bar." From my experience, their respective popularities seem to be regional. I.e. My family has always enjoyed Skor when we visit my grandmother in Wisconsin, but a bit further south in Indiana, Heath Bars are more popular and easily found (I can only find Skor in certain convenience stores in IN). When we did a side by side taste test Skor won hands down because of the more rich and buttery taste of the toffee. Finally I wanted to thank you for calling out that offensive homophobic comment. It was completely inappropriate and I appreciate you making clear that it's not ok.
RilakkuSara, first, thank you for looking through the comments and noticing that homophobia comment and my reply. It was just out of the blue weird, wasn't it? What kind of person would even make a comment like that on a post about candy bars? Second, thank you so much for sharing your experiences with these two products. While a google search brought you here, I hope you'll continue to check out our posts and leave more wonderful comments. We don't make much money with this because I want you all to trust we are being 100% honest about our experiences so comments "feed" us and give us energy to continue. 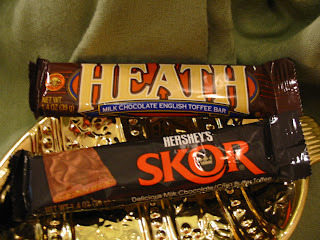 Hi there, like others I found your blog via a Google search for "Skor vs Heath." I like both, but to me Skor wins by a wide margin. I'm enjoying reading through the comments, as well. Life wouldn't be the same without little luxuries like a few minutes set aside to enjoy a chocolate coated toffee bar - be it Skor or Heath. That's a philosophy I can get behind, Ms. Blown Mu Receptors! I hope you keep reading our posts and leaving comments. These are not marketed as a chocolate product first and foremost, they are marketed as covered Toffee - good review but the bashing because of less chocolate doesn't fit what the products are. Thanks for commenting, Steve Medley, but I do not agree that we were "bashing" anyone. We what by what the products are called on their label and what the focus of this blog is. I could do some "bashing" of products if you'd like to read what that is like. They are called a combination of Milk Chocolate/Toffee, there is no reference to which flavor would be the most pronounced. Common sense would dictate the Toffee is the prominent flavor since the chocolate is simply a delivery vehicle. This of course is why they make a solid chocolate Hershey Bar... anyone wanting a pure chocolate fix should seek out a pure chocolate bar. Not trying to be mean by the way - just making a point - Skor bars rock and its nice to see that Hershey kept them alive even after buying the competitor they were created to battle with. Thanks for being engaged enough to reply again, Steve Medley. I hope you keep reading our articles and leaving comments. Makes us feel like this is worth our time when folks do that. We have have different opinions but we try to be consistent in our criteria for writing about all types of chocolate related products. Was just checking on the Heath vs Skor debate and found this article after reading Wikipedia's information on each. In Michigan you can find Skor at any checkout, but in Ohio only Walgreens have them... kind of strange. Isn't it funny who this article I wrote five years ago keeps drawing interest. Thanks, David Stockman, for discovering that there is a debate about it elsewhere, too. Now if only the other articles on this blog would get as much attention. You can find skor or heath at any store in Ohio in fact you can find skor more than heath, it is true about the chocolate not noticeable in either candy bar and yes you don't buy a skor or heath for the chocolate you buy it for the toffee and it would be better if it was all toffee and maybe hershey's should make one all toffee and leave the other the same, preferably the skor all toffee it is so much better than heath I never bought heath and always buy skor just for that yummy toffee, I just recently had a heath via the halloween candy what a dissapointment and saw it was by hershey and also wondered what the difference was since they appear to be the same, thank you for your comparison information and again "go" "skor"
Hehehe... always amused me how invested folks seem to be for either Skor or Heath. I could take them or leave them. I'm glad this provided some information for you, skor lover. I hope you check out other articles on The Chocolate Cult, too. I, too, prefer Skor but cannot find them easily. From the other posts, I guess that is because I live in Indiana -- who knew. I am a Secret Santa to a coworker who listed Skor as his favorite candy bar. Could not find one in any of the three stores I checked, so I decided to send him Skor info. Your post and all these comments came up in my search. Secret Santa, I'm so sorry you weren't able to find a Skor. The Chocolate Cult's headquarters happen to be in Indiana, too, but our post is from 2012 so I'm not sure where you'd find them today. When I just now searched on the Hershey's website it came back that Skor is not available in Indiana at all. Like the Skor bar best but will settle for a Heath Bar. The Skor is more buttery but I also think it is cooked down to a darker caramel color and the flavor seems richer to me. Carry on with your good work! In KS it is more difficult to find Skor and I found one at QT this week and was really happy I did! Always makes me laugh when I see another comment on this older post. I wish folks who leave these comments would also check out our other articles and leave their comments there, too. We learn so much for each other this way. 6 years and a few months after this posted, I'm here just finished a Heath bar wondering What is the difference. The one difference is the store I got the Heath bar at, doesn't carry Skor. Luckily a few blocks from my house is a candy shop that has their own chocolate covered English Toffee bars that are way better than the Heath. Looks like I'll have to stop there on the way home to get some. Thanks for looking that information up, Cosmo Knight. This article gets a lot of hits from folks doing just that. Makes me wonder if either brand has changed their ingredients since we originally posted this. Hey there. I cannot believe I actually found a hit on my search for Skor vs. Heath. I have had both over the years and yesterday found them side by side, 2 for 1, and when I asked the clerk if I had to buy 2 of the same brand for the deal because I wanted one of each for comparison, she looked at the wrapper and said they were both made by Hershey, so she said they were really the same brand, just different names. I thought there was a little more to it than that, so I searched, and am having fun reading this blog about the two. Funny! Anyway, I agree that the Skor had a slightly more buttery taste and I like the chocolate better. They are both yummy! 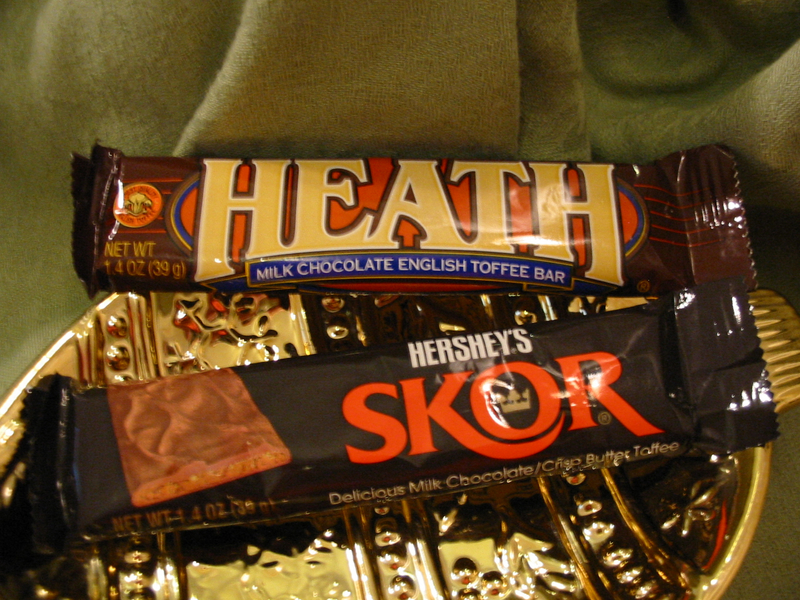 Wow, I went looking for Heath vs. Skor, and here you are. I would say your comparison is still accurate. Personally, I prefer Skor. I would just like to add that, imho, Hershey just doesn't make good chocolate anymore, and they've ruined Cadbury for me. Cadbury is still delicious, if you get it in the UK, a friend sent me some and I was astounded by the difference. Despite choosing Nestle, or Mars, over Hershey any time, I do still occasionally get a Skor. I got Heath recently, because I was craving a Skor, but Skor doesn't seem to be as readily available in my area. But when I buy toffee I'm not really lookng for a strong chocolate flavor, I think that's why I prefer Skor, it has more toffee flavor. Thanks for reading and commenting, VictoryGirl! European and American chocolate are quite different, this is true! I like Skor slightly more than Heath.Its a little toffier. I don't know why I'm amazed that this still gets comments but I'm always happy to see more. How would you define "more toffier"? Thanks! Exactly what I needed to know. Will buy Skor in Canada next time! Husband loves Heath but not going to the US, so Skor from Canada it is. Google search got me to this page. Our post is years old so double check to see if you can get both brands where you live. Thank you for reading and commenting. Just here to say hi so many years after this article was posted! I was eating a Heath bar and started wondering if they were any different from Skor, and my search led me here! Will definitely be checking out more of your posts! I hope you check out more of our posts. We started a series of peanut butter cups comparisons and I'd love to learn about people preferences to those. Well, I'd love to get comments on all our posts. I prefer the taste of Skor, but the texture of Heath (Skor always seems a bit harder). You should check our our series on peanut butter cups! Hi, I just wanted to let you know that I was looking up the difference and saw your post. I decided to keep the comments coming. You are almost into 2019. I see many people referencing the difference between American chocolate and English chocolate and I have to say I have never had English chocolate. I live in Arizona, any idea where I could come across some English chocolate and true English toffee?? Oh and I like Skor more than Heath! We've covered a lot of different toffees here on this website so I'd suggest looking using our search engine along the right hand side or even looking for "England" or "British" or "UK" as well since we have also covered a few products from that nation in the past. I suggest looking for speciality shops online or in larger cities in your state, too. Check the products for "made in" to see if they are from the UK or England. Good luck! No reason not to like them both! Thank you for reading and leaving a comment. I (like many before me) googled Skor vs Heath & found this site. After reading the article & all the comments, I wanted to help keep it going. I also prefer Skor, there's a little more depth of flavor than Heath. I hope that all of you go and look at our other articles. We've been around since February 2009.